Siouxsie and the Banshees were an British rock band formed in 1976 by vocalist Siouxsie Sioux and bassist Steven Severin. Initially associated with the English punk rock scene, the band rapidly evolved to create "a form of post-punk discord full of daring rhythmic and sonic experimentation". The Times cited Siouxsie and the Banshees as "one of the most audacious and uncompromising musical adventurers of the post-punk era." The group also became inspirational in the creation and development of gothic rock and their music also combined elements of pop and avant-garde. The Banshees disbanded in 1996, with Siouxsie and drummer Budgie continuing to record music as The Creatures, a second band they had formed in the early 1980s. In 2004, Siouxsie began a solo career. 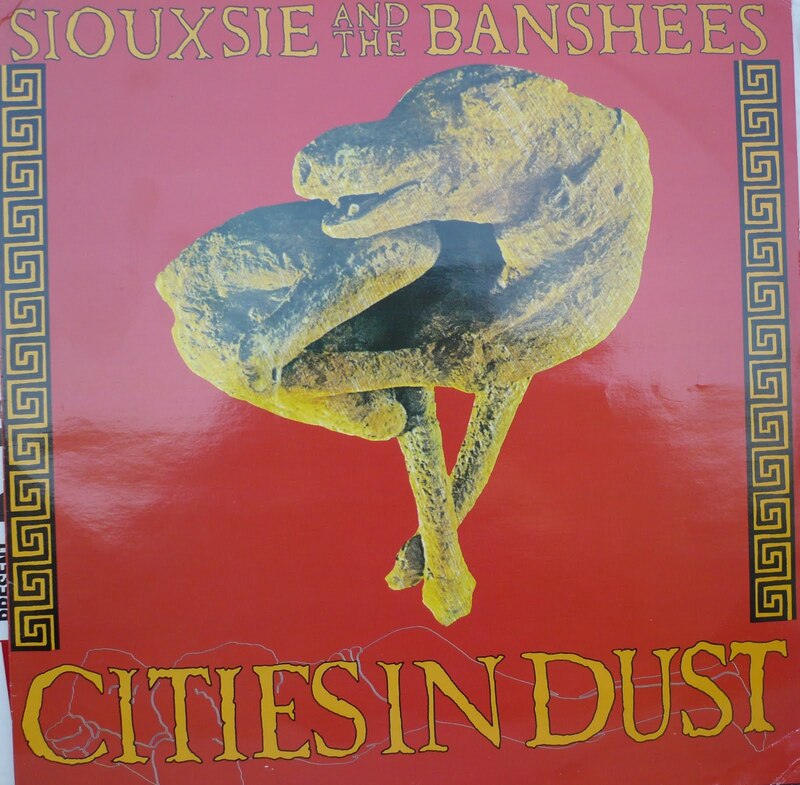 "Cities in Dust" is a song written and produced by British rock band Siouxsie and the Banshees. It was released as the first single from their seventh studio album Tinderbox in 1985. The "Cities in Dust" 12-inch single was the first Banshees' single-release in the United States, through Geffen Records. The song obliquely describes the city of Pompeii, destroyed in a volcanic eruption in 79AD. Imagery describing the volcano and its magma chamber, the condition of the victims of the eruption, and the subsequent discovery and excavation of the city comprises the bulk of the lyrics. 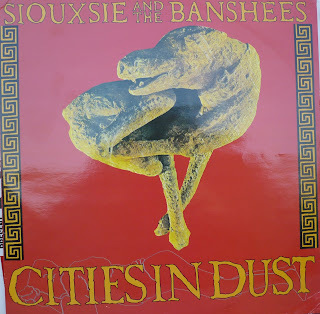 "Cities in Dust" was a more post-punk affair than singles released by Siouxsie & the Banshees in the previous several years. It also had more of a pop music melody than past releases from the band, although its cryptic lyrics were still dark, mentioning a shrine to Lares Familiares. Its upbeat 4/4 rhythm also made it a hit in danceclubs. "Cities in Dust" peaked at number twenty-one in the UK singles chart. Although not Siouxsie & the Banshees' first song to hit the U.S. Hot Dance Club Play chart, it was their first significant hit, climbing to number seventeen.